Relax in a king bed in a room with a whirlpool tub or an accommodating and spacious suite for additional living space. Our hotel’s rooms and suites offer the best value for money you’ll find in the city, with easy proximity to downtown Austin, UT Austin and more! Take a look below to see the different room options we have to offer at our Austin hotel. Click book, select your dates, and get ready for an unforgettable stay! You will truly come to love our lodging in Austin, Texas. 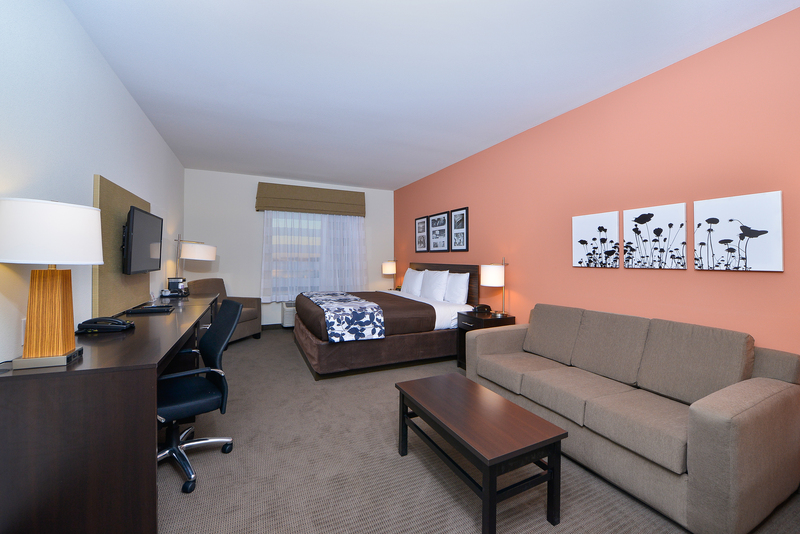 Check out our accessible rooms and suites – we are happy to accommodate you. If you have a pet, don’t forget to bring him or her along! Austin, Texas is a very pet friendly city, and so is our hotel! Check out our pet policy and book one of our hotel rooms in Austin! If you are looking for an affordable place to stay near downtown Austin with fantastic guest services and amenities, look no further than booking a King Room at the Sleep Inn & Suites Austin North East. Enjoy complimentary internet and complimentary breakfast for each night of your stay. If you are staying with us from Monday to Thursday, join us in the lobby for Social Hour where you can enjoy free drinks and a light meal! Let us know if you have any questions, we’d be more than happy to assist! If you are traveling with family members or a small group, book a Two Queen Room at the affordable Sleep Inn & Suites Austin North East for your next trip to Austin. 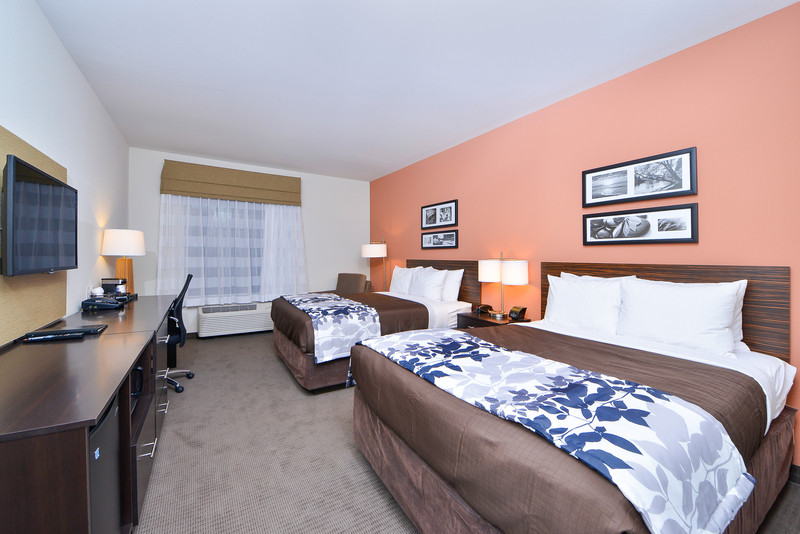 Our hotel focuses on providing guests with unmatched service at affordable rates near downtown Austin, Texas. We are also just a few minutes from Manor, Texas, so guests can easily visit friends and family in Manor. 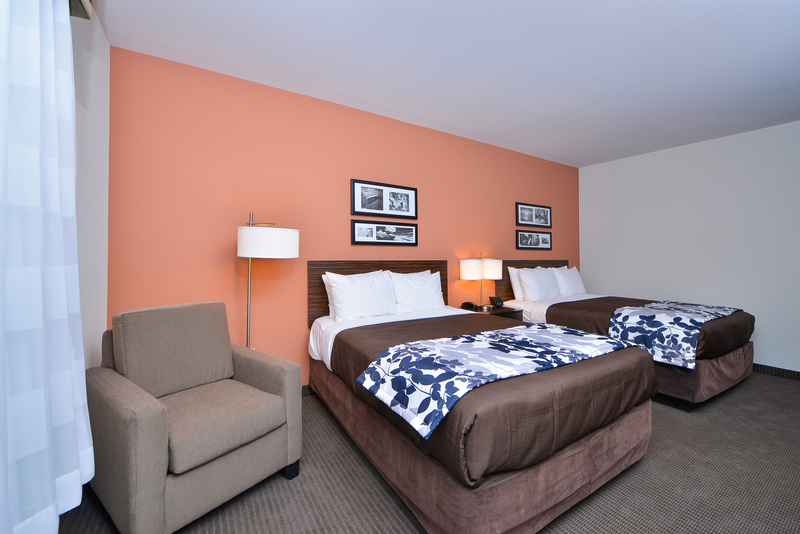 Relax in a comfortable and affordable King Suite at the Sleep Inn & Suites Austin North East. 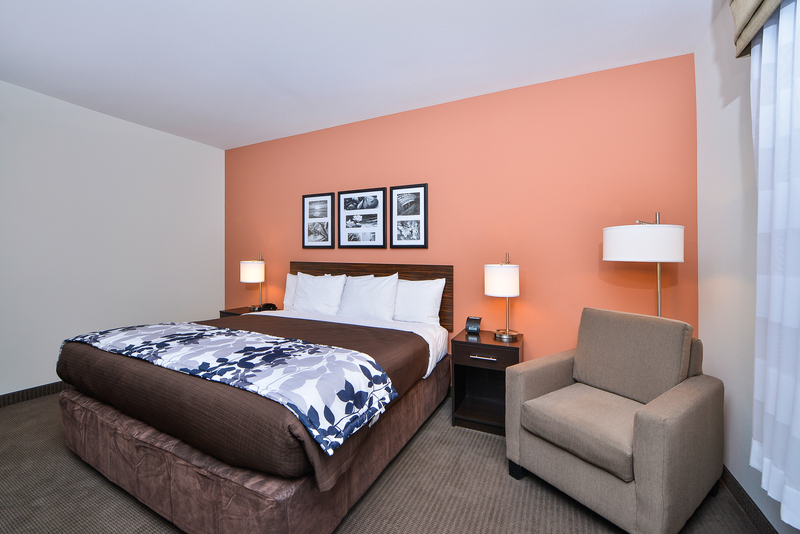 Our King Suites come equipped with a King and Sofa Bed and have plenty of space to relax near downtown Austin. Join us in the morning for complimentary breakfast which has all of your favorite breakfast treats. Looking for a place to relax after a long day of work in Austin or Walnut Creek Business Park? 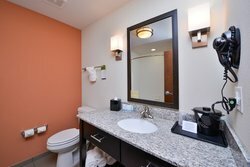 Book a King Room w/ Whirlpool and relax in the 1 person whirlpool tub while you read a book or watch some Netflix using our high speed wireless internet. For every night of your stay, join us for a complimentary hot breakfast. Start your day right when you stay with us at the Sleep Inn & Suites Austin North East in Austin, Texas. 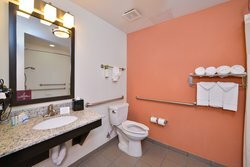 If you or the person you are traveling with has accessibility needs, book an Accessible King Room at the Sleep Inn & Suites Austin North East. Our Accessible King Rooms feature a visual door-bell and roll-in shower, among other mobility and hearing accessible amenities. Contact us with any questions – we look forward to welcoming you! The Sleep Inn & Suites offers hearing accessible King Suites with sofa beds which can accommodate up to four guests. For more information about our hearing accessible amenities, contact us today! For every night that you stay, join us in the morning for a complimentary hot breakfast, and enjoy free high speed wireless internet in your room. 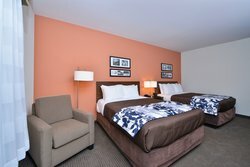 Accessible Two Queen Rooms at the Sleep Inn & Suites Austin North East feature Two Queen Beds and can accommodate up to four guests. 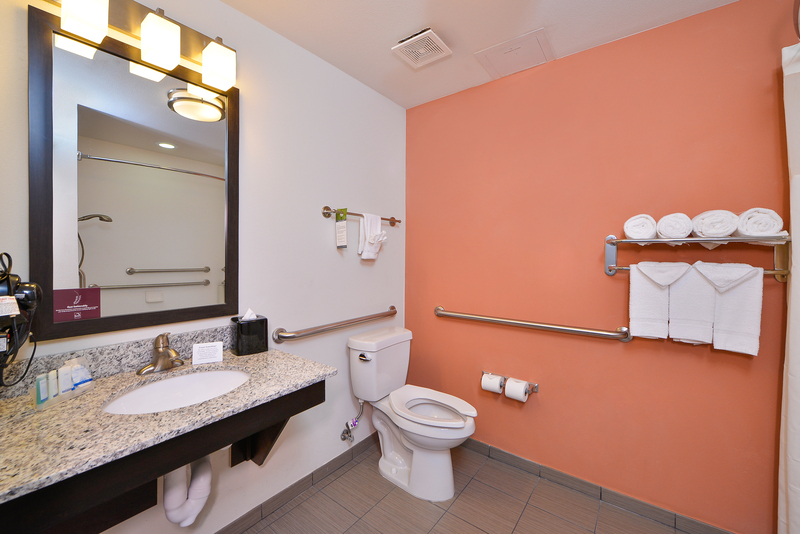 These accessible rooms have a visual doorbell alert as well as other accessible amenities. For more information, contact us and we’d be happy to help! 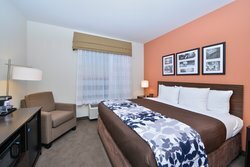 The Sleep Inn & Suites Austin North East offers hearing accessible King Rooms with Whirlpools for guests with hearing accessibility needs. 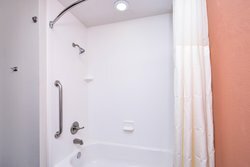 Each of these rooms features a luxurious 1 person whirlpool tub where guests can relax after a long day of work or exploring downtown Austin. If you or the person you are traveling with has accessibility requirements, book an Accessible King Suite at the Sleep Inn & Suites Austin North East hotel and enjoy the amenities you need for a relaxing stay in a luxurious hotel suite in Austin, Texas. 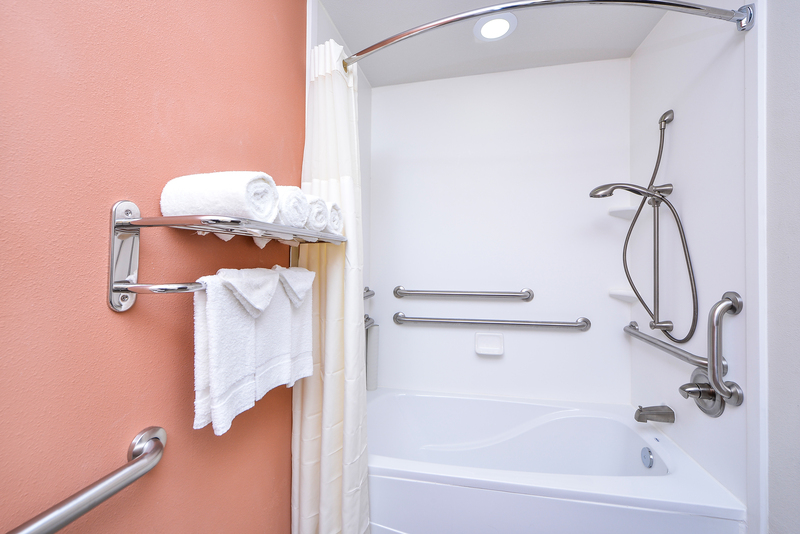 Our Accessible King Suites have roll-in showers and doorbell alerts. Have any other questions or requirements? Feel free to reach out to us – we’re more than happy to help.